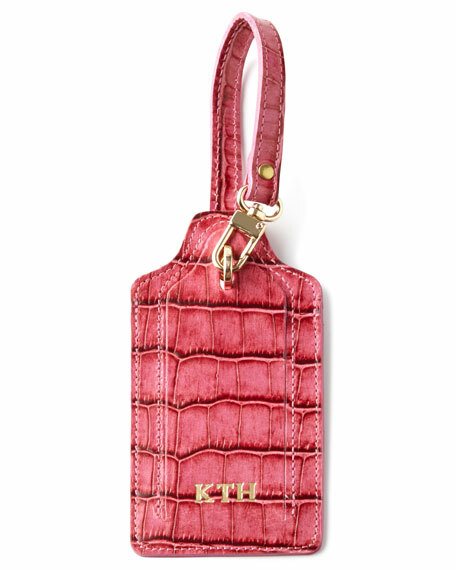 Handcrafted luggage tag.Italian calfskin; textile lining.2.625"W x 8"T.Personalization is up to three initials in color and typestyle shown.Made in USA of Italian material. 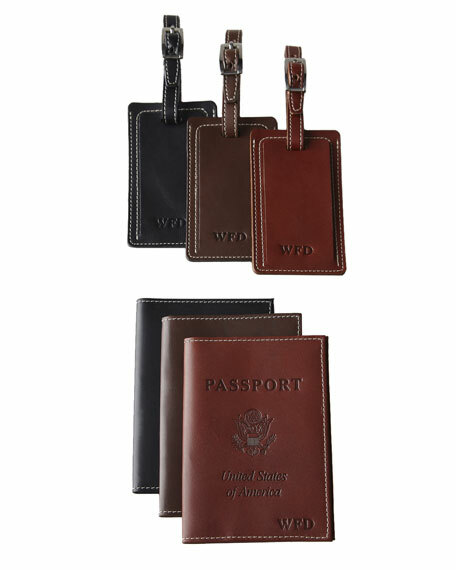 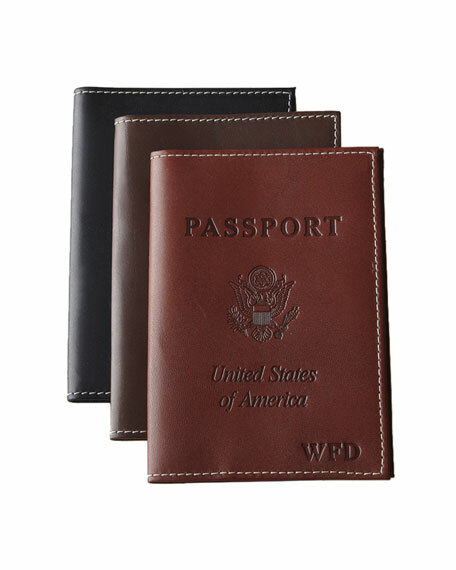 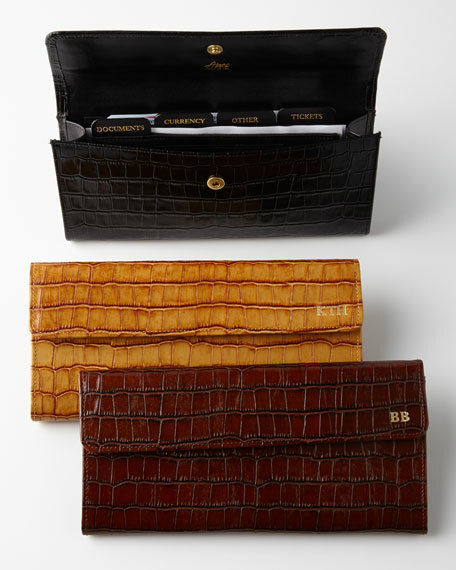 Handcrafted travel organizer.Italian calfskin; crocodile-embossed detail.Snap-flap closure accommodates passport, boarding passes, tickets, reward cards, currency, and more.9.375"W x 4.5"D x 4.25"T.Made in USA of Italian material. 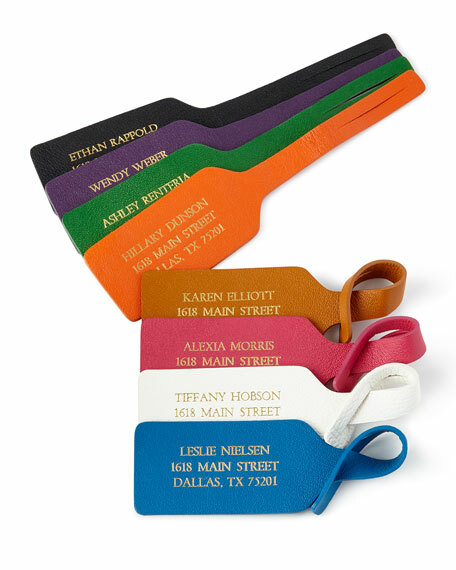 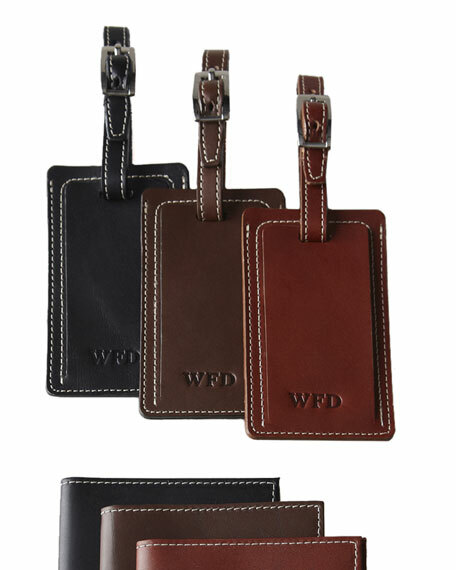 Handcrafted luggage tags.Leather.Personalization is name (up to 25 characters/spaces) and two-line address (up to 25 characters/spaces per line) in style and color shown.Set of two; each, 2.5"W x 6.25"T.Made in the USA.